Force landed in a field, crossed highway, struck a ditch and flipped over. SHELBY COUNTY, TX (KTRE) - The Texas Department of Public Safety said mechanical issues caused a plane to crash in Shelby County Sunday. According to a press release, DPS responded to the scene of a forced airplane landing on State Highway 7 that occurred due to mechanical issues, about five miles south of Joaquin. 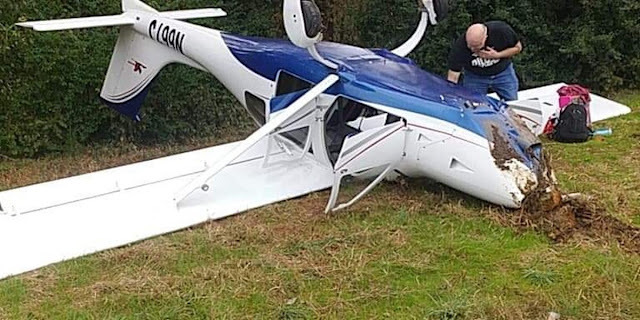 The press release said the preliminary investigation indicates at approximately 1 p.m., a 2009 Jabiru Sport airplane was reportedly flying from Baton Rouge, LA to Center, TX when it was forced to land and overturned, off SH 7. No injuries were reported. The release said the pilot of the aircraft is identified as 53-year-old Leonard Lorden, from Mansfield, TX. Lorden and a nine-year-old passenger were not reportedly injured during the crash. The Federal Aviation Administration has been notified.